While you may adore them or dislike some of them (or maybe a bit of both), these kitchen design trends are here to stay. Consider incorporating a few of these design trends as you prepare to renovate your kitchen! 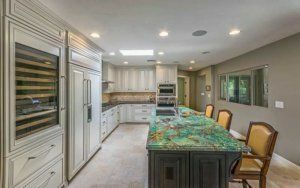 Industry pros are saying that in kitchens heavily used; granite is proving not to be the best choice. Rather, quartz is by far the most durable countertop material available. Why? It resists scratches, stains, spills, chips and burns. The best part: it is easy to maintain and does not require sealing each year to prevent stains. Clean lines, built-ins and simple door styles are dominating kitchen renovations at the moment. In 2017, we have noticed contemporary- styled kitchens overtaking traditional as the second most popular design after Transitional. The “aging in place” trend is hot. With a few modifications, this kitchen renovation method allows homeowners to stay in their home longer. Top features include in this arena include microwave drawers, side-opening ovens at counter height, and deep pocket drawers and organizers. Good lighting is crucial to a kitchen’s design and LED lighting leads the pack. For example, LED ribbons are becoming popular for placement under cabinets and along toe kicks as night-lights. This lighting is great as it is available in a wide range of colors. Energy efficient and creativity all rolled into one! Nearly 67 percent of National Kitchen and Bath Association (NKBA) members recently reported that white is their top choice for cabinets. In 2017, it is not just white cabinets, but everything else in the kitchen, too, such as the backsplash, countertops and appliances. Think layers and layers of white. This style is steadily gaining in popularity nationwide. Trends that are also mixing it up: materials and metals, especially across surfaces and as accents. Styles including furniture-look pieces, pullouts and rollouts are quickly becoming modern kitchen cabinet features. On another note, crown molding in the kitchen is on the decline. While wood cabinets have taken over kitchen designs in recent decades, metal appears to be emerging in 2017. Trending right now are induction cooktops and convection ovens. Additionally, microwave drawers are outpacing separate and built-in microwaves. Overall, the use of technology in the kitchen is rapidly increasing. According to NKBA professionals, approximately one-third of kitchen renovation ideas include wiring and pathways for future tech integration. Furthermore, more Internet-connected appliances and docking stations are emerging in kitchens around the globe. Are you searching for kitchen renovation ideas? 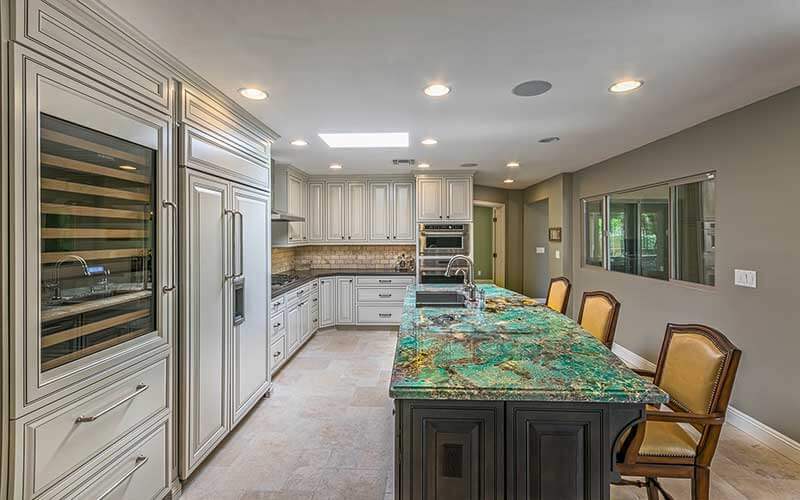 At Republic West Remodeling, we offer the latest kitchen renovation ideas and best kitchen remodeling contractors in the Phoenix and Scottsdale area. Contact us today to schedule your free consultation.